The Gate Season 3 release date is highly anticipated by fans of the anime largely because of where the story will go next. 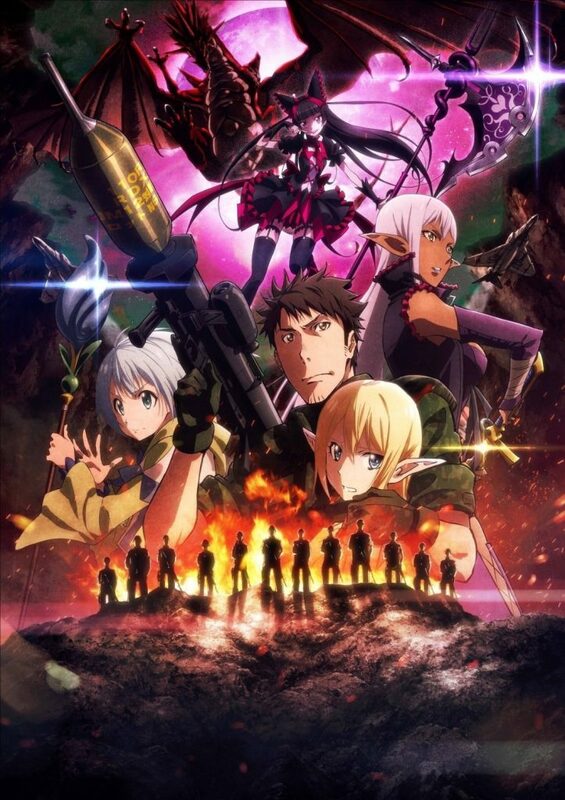 Animation studio A-1 Pictures adapted the fantasy story from the Gate: Jieitai Kanochi nite, Kaku Tatakaeri (Gate: Thus The JSDF Fought There) light novel series, and the plot seriously has xenomorphs from the American Alien movie series fighting against the JSDF. But how does Sigourney Weaver’s adventures with Aliens connect to the popular Gate anime in the first place? The story first started life in 2006 as web novels being self-published by author Takumi Yanai. They were essentially fan fiction, but publisher AlphaPolis started adapting the story for the novel format starting in July of 2011. The novels were reprinted as light novels, with each of the 10 books being split in half to make 20 light novels. The novels and light novels offer up essentially the same story, but the light novels were rewritten in some sections and have extra artwork from artist Kurojishi. By the time the anime Gate Season 2 finished airing, the book series was already up to Gate Volume 10 (or Gate Volume 20 in the light novel edition) but the author had not published anything new in years. 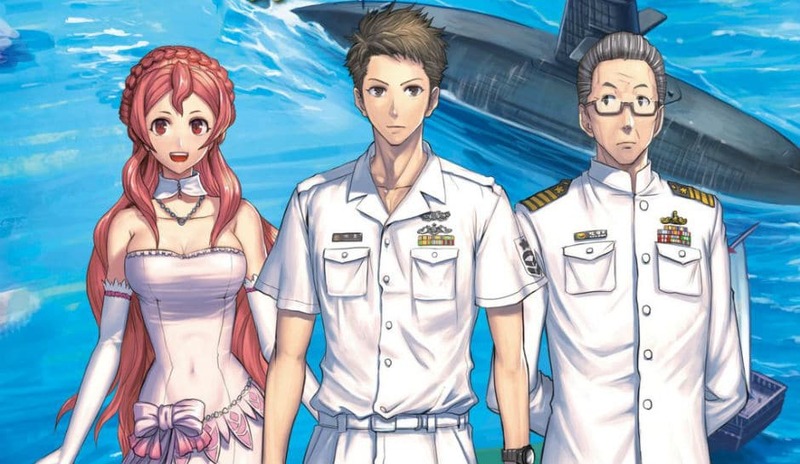 Starting in the summer of 2017, a sequel novel book series called Gate: Weigh Anchor was launched. Oddly enough, it was officially labeled as Gate Season 2 of the book series. Including Gate Season 2: Weigh Anchor, the entire novel series is up to Gate Volume 11 and will likely include more sequels. The novels have also inspired multiple Gate manga spin-off series drawn by various mangaka. A prequel manga called Gate – 14 year old Piña Co Lada and The Rose-Order of Knights of the Empire is pretty self-explanatory based on the title. Gate: Featuring the Starry Heavens has Tuka, Lelei, and Rory becoming idol singers. The Gate manga telling the main story is already up to Volume 13. 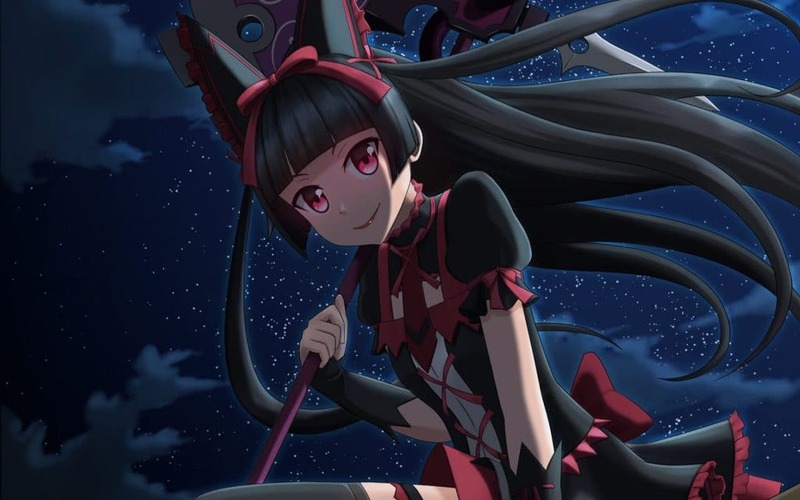 Unfortunately, while the anime caused the Gate light novel series to receive a sequel, the English translation of both the Gate manga and anime has not received much love from the publisher. Only the first novels were officially translated into English, although fan translation projects have finished the first book series up through Volume 10 and the manga chapters are being translated regularly. This article provides everything that is known about Gate Season 3 and all related news. As such, this article will be updated over time with news, rumors, and analysis. Meanwhile, let’s delve down into what is known for certain. Gate Season 2 vs Gate Season 3: What’s the difference? 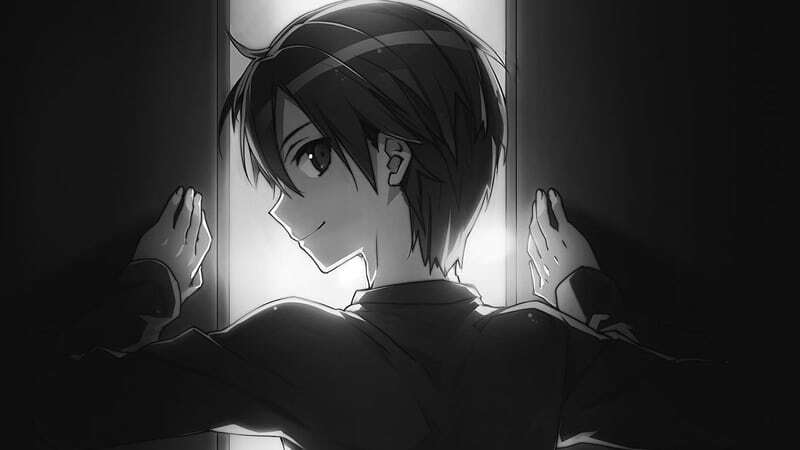 The anime adaptation of the light novel series first aired during the summer 2015 anime season. The second half aired during the winter 2016 anime season, ending with Gate Episode 24. Therefore, there are fans who refer to any anime sequel as Gate Season 2 while others prefer the label Gate Season 3. Technically, the first Gate season was a split-cour anime, which is when a single season takes a broadcasting break for a single cour (or three months) and then resumes airing during the next cour. The split-cour anime has become more common in recent years thanks to the hectic schedules of animation studios, but seasons are usually labeled with a “Part 2” if the studios consider their work to be a split-cour anime. For example, the third season of Food Wars! Shokugeki no Soma was officially labeled as having two parts. But some fans still Google search for Food Wars! Season 5 even though Food Wars! Season 4 is the next season coming up. In the case of the Gate anime, both Crunchyroll and MyAnimeList refer to the second cour as being Gate Season 2, so this article refers to any future episodes as being Gate Season 3. However, the fans are about equally split on the issue since Google’s search data shows that searches for “Gate Season 2” and “Gate Season 3” are about the same on a regular basis. 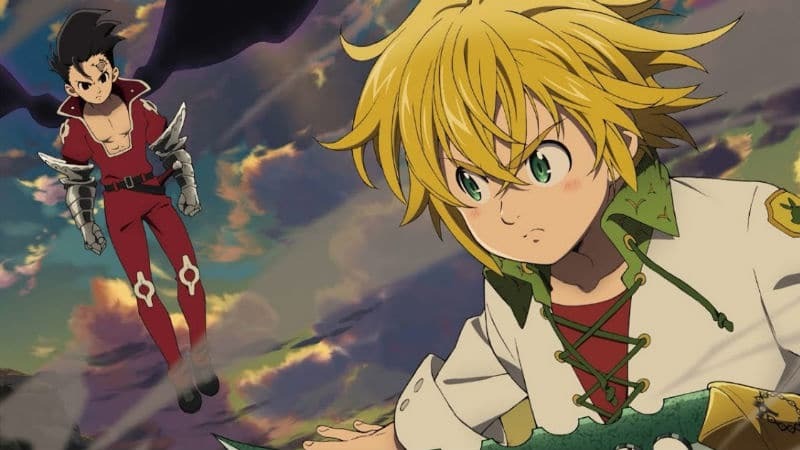 With many anime adaptations, the first several seasons will blow through the available source material and thus fans are forced to wait for years until enough books or manga chapters are produced. In the case of the Gate anime, there technically are enough books for even Gate Season 4, but it’s the way they were written that’s the problem. Gate Season 2 finished off the story all the way up through Volume 5 and parts of Volume 6. That leaves six novels unadapted, but five of these books are gaiden (or side stories) which tell the story of one of the main female characters. Worse, the Gate manga retconned some of the side stories that were part of Volume 10. The ongoing adventures of Yoji Itami are also included, but Gate Season 3 would have to rewrite the story significantly so it would take place in sequential order. Some of the side stories took place in-between story events that took place during the first two seasons. It could be argued that some gaiden like the zombie story would make a good Gate OVA episode, but otherwise, the plot of Gate Season 3 will need to be streamlined to be more coherent for anime audiences. As for those wondering whether it’s worth reading the manga or books, the manga does add in some extra details the anime skipped. Unfortunately, even in 2018 the manga still hasn’t caught up with the end of Gate Season 2. Anime fans will probably only like the books if they are interested in geopolitics and history. For example, in Gate Volume 3 the author cites the historical role of Columbus bringing plagues upon Native Americans in relation to modern disease prevention protocols used by the JSDF. In later volumes, there are lengthy philosophical discussions, including a monologue on the government’s suppression of the media and religion, Martin Luther King, Pol Pot, and more topics are cited as real-world examples. While interesting to read, such materials were stripped from the anime for good reason, since they would have bogged down the pacing of the episodes. Besides such heavy topics, the books also contained more character development and dialogue, so the books are definitely recommended for those wanting more of the story. As of the last update, A-1 Pictures or any company related to the production of the anime has not officially confirmed the Gate Season 2 release date. Nor has the production of a sequel been announced. Once the news is officially confirmed this article will be updated with the relevant information. In the meantime, it’s possible to speculate about when, or if, the Gate Season 2 premiere date will occur in the future. From a financial perspective, the anime adaptation did well but not amazing. The Gate Blu-Ray sales in Japan were in the top 10 on the Oricon charts back in 2015. Gate Season 2 had slightly lower numbers, generating enough revenue that Gate Season 3 seems to be a reasonable risk for any anime production committee. To put the sales number in perspective, the first season of the Gate anime sold similarly to Overlord Season 2 and anime audiences are already watching Overlord Season 3 in 2018. The Gate numbers were not too far behind the second season of Attack On Titan and already fans are discussing Attack On Titan Season 4. The anime has caused the Gate novel series to be one of the best-selling book series for the publisher AlphaPolis. Let’s just hope that’s enough success to justify Gate Season 3 once more of the main story is released. Gate Season 2 ended on a solid note where Princess Pina Co Lada became heir to the Empire’s throne and peace had been established in the Special Region. Prince Zorzal promised revenge against the JSDF, but poor Itami was probably more upset by the fact that Lelei, Tuka, and Rory had crashed a dojinshi convention on Earth, ending his aspirations for a happy ending. As previously mentioned, the next five books are technically considered gaiden, but most of the events in these books are written in chronological order and the side stories are integral for understanding Gate: Weigh Anchor. In fact, Gate Season 3 must include at least several of the critical events since they set the stage for the light novel sequel. Episode 1 of Gate Season 3 will definitely focus on how Prince Zorzal rallies the Imperial troops to start a civil war within the Empire. Unlike previous combat, it’s not completely a one-sided massacre anymore since Imperial forces manage to toss chains onto helicopter blades and trap JSDF tanks in pits. Zorzal’s last stand manages to destroy a lot of equipment and even some of the JSDF soldiers die. However, Zorzal is not the real threat to peace. America, Russia, and China do not like how Japan has a monopoly on the Special Region and they send in agents. What starts as an international intervention goes catastrophically when rogue Chinese agents end up destroying the portal back to Earth! Worse, some of the main characters end up being stuck on different sides of the portal and Itami loses all reason to live since he can’t get any more doujinshi. The JSDF loses all reinforcements and supply routes and now the military is faced with the prospect of being stuck forever in this fantasy realm. 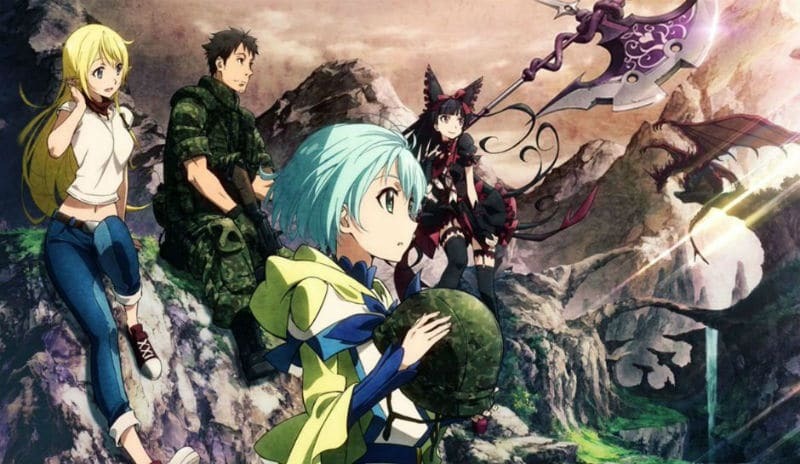 The next part of Gate Season 3 will show the separate adventures of heroines Pina, Rory, Tuka, and Lelei. Itami is not left out since he also trains to become a Dragon Knight. But the main story will be about their experiments to reopen the portal back to Japan and the repercussions of their actions. This is where the lawyers from 20th Century Fox might object to Gate Season 3 just a little if A-1 Pictures sticks to the novel’s story. Lelei combines science and magic in an attempt to recreate the portal. While she is successful at creating a new gate, the problem is that Itami pokes his head into an H.R. Giger-inspired Alien homeworld and a room that’s filled with facehugger eggs. No, these Alien eggs are not copyright-friendly knockoffs similar to how McDonald’s will often become “McRonald’s” in anime. It’s not simply an implied reference, either, since author Yanai has Itami describing what he’s seeing in direct relation to the Alien movie series. The other Japanese characters are shocked since they know what a facehugger egg is and Itami panics everyone by faking the feeling of a xenomorph bursting out of his chest! While A-1 Pictures could probably just create a generic alien copycat for Gate Season 3, that change would ruin one of the important plot elements. The idea is that the multiverse allows for infinite potential, which means that bored gods like Hardy and even Alien movie xenomorphs must be real. Therefore, the portals of Gate are connecting to infinite realities and it’s very likely that the author wants to exploit that potential in future books. 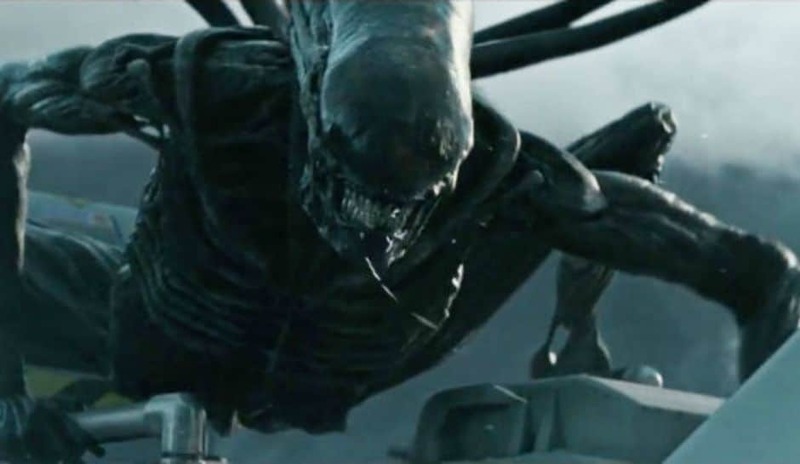 While the screenplay writer may be tempted to nuke the concept from orbit, it’s also difficult to write out the Alien xenomorphs entirely since they’re not limited to one comedic scene. Instead, the facehuggers manage to infest the Special Region and hordes of Xenomorphs swarm the landing, transforming the end of a civil war into a three-way battle between JSDF, the Imperial army, and aliens. Gate: Weigh Anchor would be better as Gate Season 4? The second part of Gate Season 3 (which might be better if relegated to Gate Season 4) takes place four years after the closure of the portal to Earth. Set after the events of Gate Volume 9, an artificially-created portal is now stable and world powers on Earth continue to vie for influence over the Special Region. Gate: Weigh Anchor might work best as either Gate Season 4 or its own standalone anime since the focus changed to a new set of main characters. In fact, while Second Lieutenant Yoji Itami has been promoted to Captain, Japanese readers have noted that Itami and the five main girls are MIA and it’s uncertain whether they will be featured in future books. The overall story involves a new exploratory mission for the Japan Maritime Self-Defense Forces (JMSDF). They’re traveling the high seas aboard the Oyashio-Type submarine Kitsashi. The Kitsashi is not the first sub to be sent out by the JMSDF. An older model sub was almost sunk by a creature called the armor whale, which travels in packs and are known for destroying wooden boats and devouring sailors. The armor whales have thick exoskeletons and can shoot projectiles at foes. The main lead character replacing Itami is named Chief Petty Officer Tokushima Hajime, a former cook who is the son of a master chef. As a chef, he was given poor reviews due to his robot-like personality, so he joined the JMSDF to gain more experiences in life. Similar to Itami, Tokujima tends to attract the attention of the ladies. Captain Goro Edajima is a “classic sail otaku” who knows how to manage a sailboat. The intelligence boss displays “good judgment in strategy and decision” and impresses the pirates they meet along the way. Princess Primera Luna Avion is the target of assassination and kidnapping because of her relation to the old Empire. Known as a food gourmet, she earns her nickname “drunken princess” because of the way she acts while drunk.